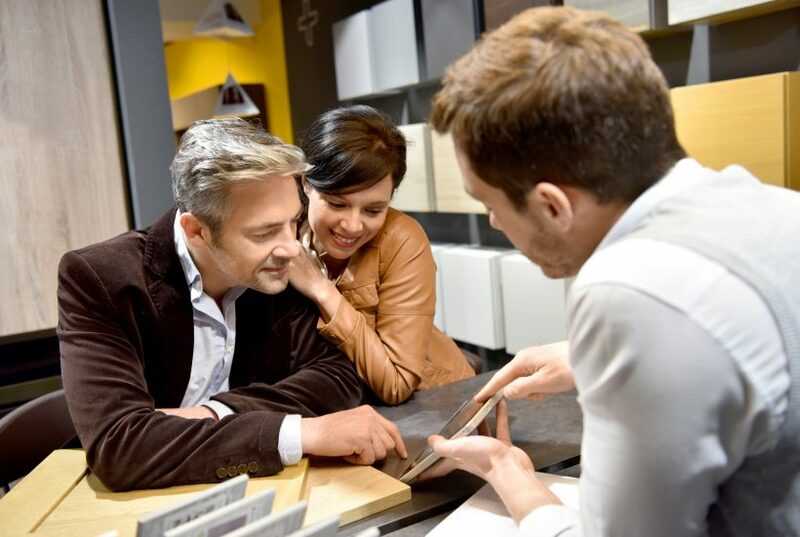 Why Choose Our Kitchen Designers in Nottingham? 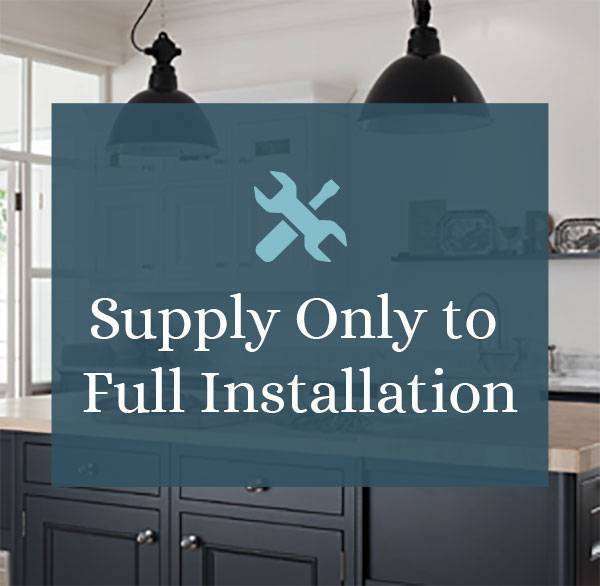 At Kitchen Solutions, we pride ourselves on having one of the most stunning kitchen showrooms in Nottingham, and offering a tailored service where you receive ongoing support every step of the way to ensure that you’re left with the kitchen of your dreams. 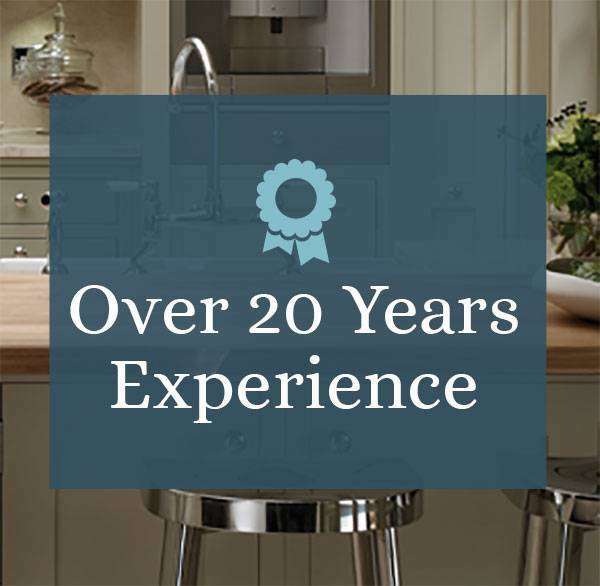 It’s not just Nottingham that we can provide fitted kitchens for either. We regularly serve Derby, Derbyshire, Alfreton, Ilkeston, Matlock and Chesterfield. 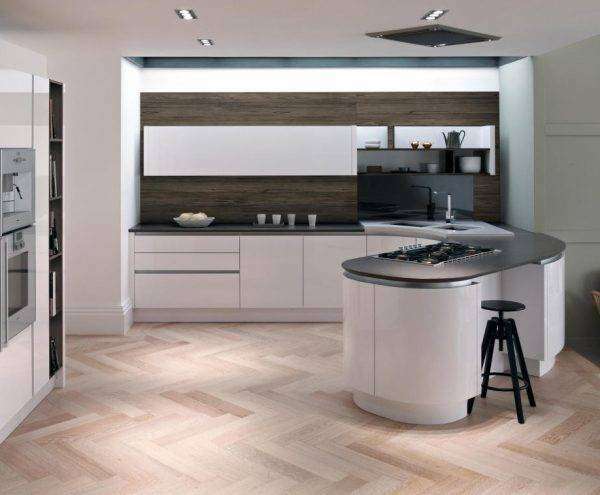 Beautiful contemporary kitchens built by expert kitchen designers in Nottingham. Our collection includes cutting-edge design elements with innovative storage solutions, sleek lines & stylish hues. Offering timeless elegance, our classic collection adapts to suit any home & lifestyle. 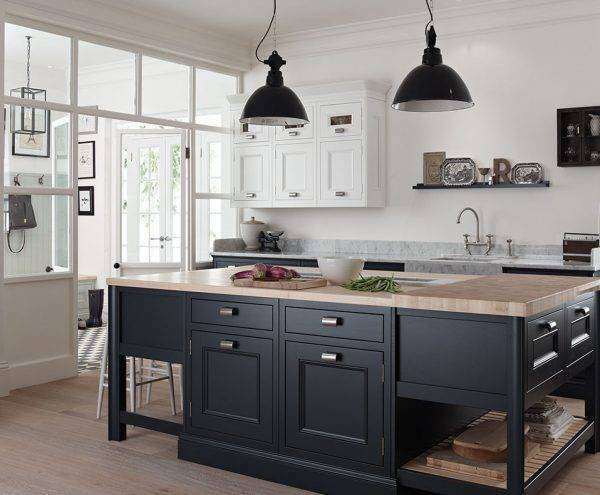 Speak to our kitchen designers in Nottingham to add a statement to your home that will never go out of style. Clever storage ideas for your food items and appliances to make life easier. 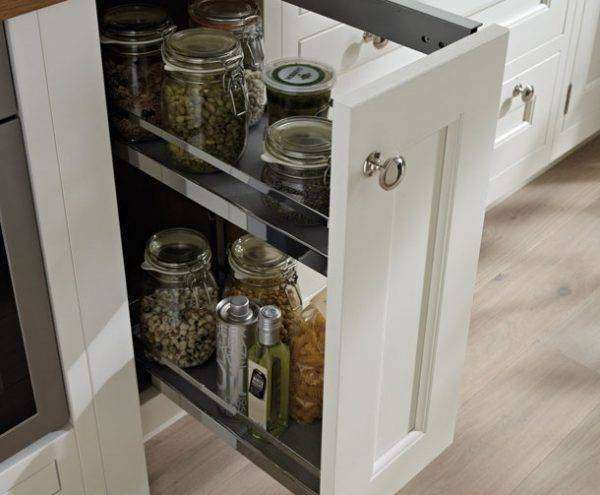 We have some great solutions that are designed to maximise space whilst keeping your new kitchen tidy. Appliances to suit all styles of kitchens and budgets! 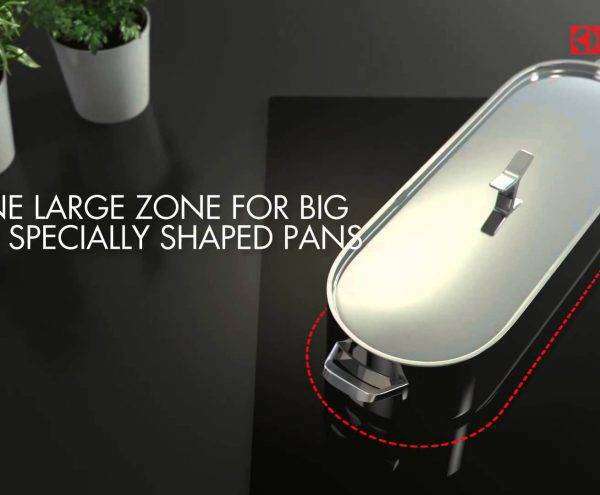 You will be impressed with the first class brands that are guaranteed to make cooking pleasant - your kitchen will become your favourite place! We have been proud members of CheckaTrade since June 2014! 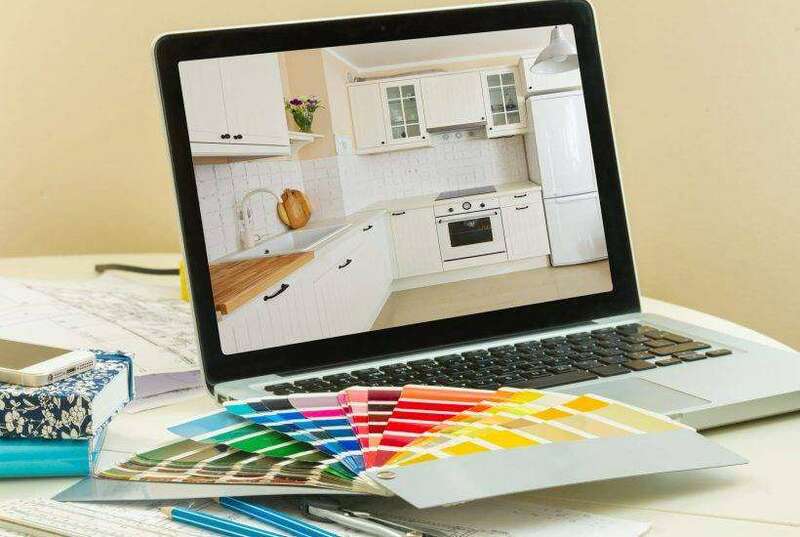 In case you were wondering what CheckaTrade is all about, we can confirm that they run strict background checks on all kitchen designers in Nottingham before they can become members. 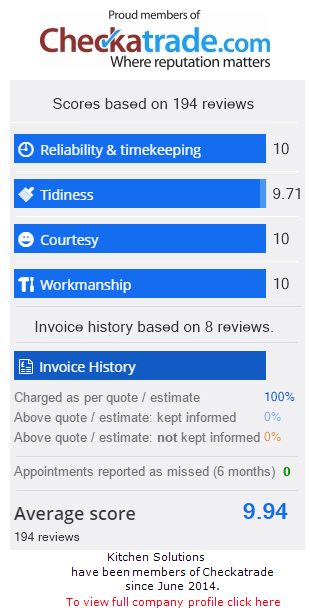 Once approved, members then agree to receive feedback from customers online for all to see – this ensures that customers can get a real feel for the company in question and that you can rest assured that you will be receiving a high quality service. Please click on the link and choose from over 100 genuine customer reviews! We would like to thank you and everybody involved with the fitting of our new kitchen, and special thanks to Lee for co-ordinating everything, and a big thank you to the kitchen designers that gave us the kitchen we have always wanted! It has everything I wished for and more. The attention to detail and quality was sublime! We had a 22-year-old, well cared for but tired looking kitchen. Now, thanks to you and your excellent team of kitchen designers, we have a superb modern kitchen with all the latest appliances. Your design makes the kitchen look bigger, lighter and a lovely place to be in. Your fitter Stef, Project Manager Lee, and the whole team are a credit to your company, the care and effort they both demonstrated to achieve the finished product was exceptional!